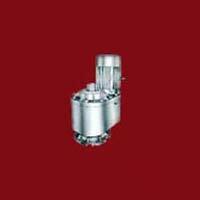 Avail from us an array of Geared Motors that is made available at industry leading rates. The Geared Motors offered by us are designed and made by expert engineers using high technology and high grade material. Our Geared Motors are widely acknowledged for their high performance and efficiency in the countrywide markets. Further, low consumption of electricity is another feature of our Geared Motors for which they are highly demanded by the clients. Robust construction of our Geared Motors requires least maintenance during servicing life. 1/8 HP to 15 HP in 500 to 0.1 RPM in various frames, mounting etc. 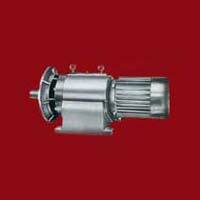 We are reckoned as a prime Heavy Duty Three Stage Geared Motor Manufacturer and Supplier in national markets. The Heavy Duty Three Stage Geared Motor offered by us is a compact design motor ensuring high efficiency every time. Clients can avail Heavy Duty Three Stage Geared Motors at market leading rates from us.